When Will You Need to Delete Old iCloud Account? Merge Multiple iCloud Accounts: If it’s becoming troublesome for you to use multiple iCloud accounts, you can choose to merge the two accounts into one and delete one of them permanently. Privacy Bleach: If you feel that your Apple ID/iCloud account has been hacked and your personal or business information/data compromised, you can proceed to permanently delete the iCloud account. Changing to a more suitable iCloud Account: If you think that the iCloud ID you’re using is not suitable for your business, then you have to create a new one and delete the old one because there is no way to change the Apple ID. 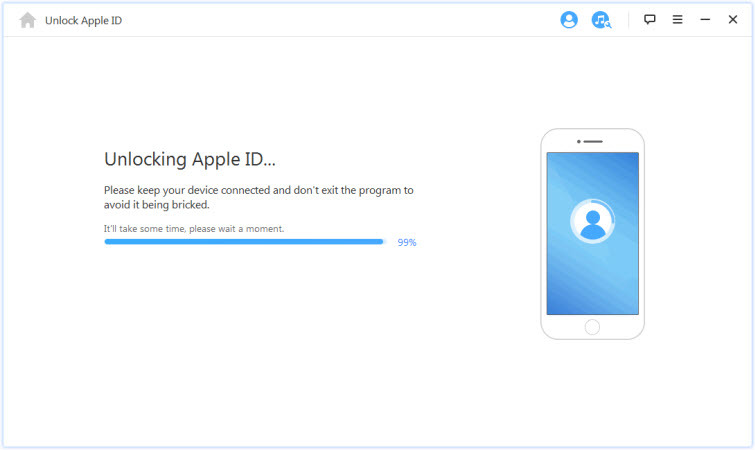 Done Using Apple Devices: If you’re having a change of taste in smartphones and tablets, and you can’t foresee yourself using an Apple device in the nearest future, then you can delete your iCloud account permanently. Here, we will introduce you to solutions that can help you remove old iCloud accounts and delete them permanently. 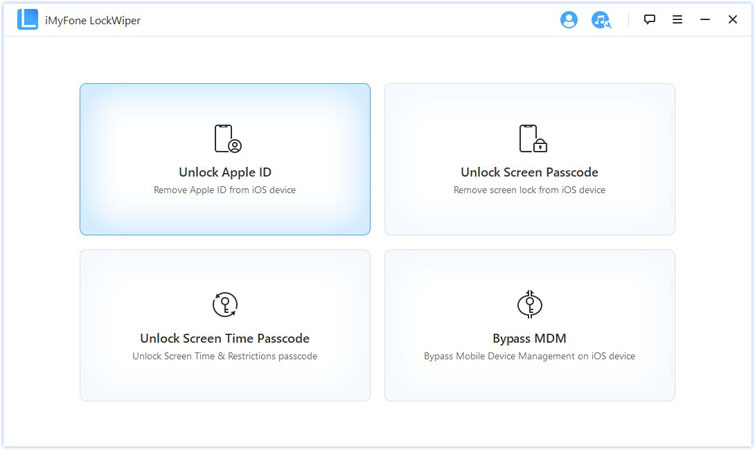 The iMyFone LockWiper is the easiest solution that can delete an iCloud account from an iPhone or iPad in a few minutes. This fast and efficient iCloud account removal tool has the capacity to unlock most problematic iPhone locks, and permanently erase them from the iDevice. The easiest solution in deleting the iCloud account from iPhone or iPad. Easily unlock iPhone which is locked by 4-digit/6-digit passcode, Face ID, Touch ID, custom numeric code, etc. Removes Apple ID and iCloud account from iPhone even when Find My iPhone is enabled in the device. Removes iPhone and iPad screen locks even from devices with faulty keys, and a broken screen. Recommended by top software review sites, tech authorities and thousands of users. Step 1. Download, install and launch iMyFone LockWiper on your PC or Mac. Connect your iPhone or iPad to the computer using your device’s USB cable. Step 2. Select the "Unlock Apple ID" mode from the Home interface to delete the iCloud account that is presently associated with your iOS device. Step 3. Now, click the "Start to Unlock" button to delete the iCloud account without a password. LockWiper will immediately start to unlock your device. There are two Apple recommended ways of deleting old iCloud account: Delete iCloud account from the iOS device or from Apple’s Data and Privacy Portal. This method is very easy to follow but it’s only for those who have their Apple ID password. If you don’t have the password to the iCloud account in the device, use iMyFone LockWiper. Step 1. 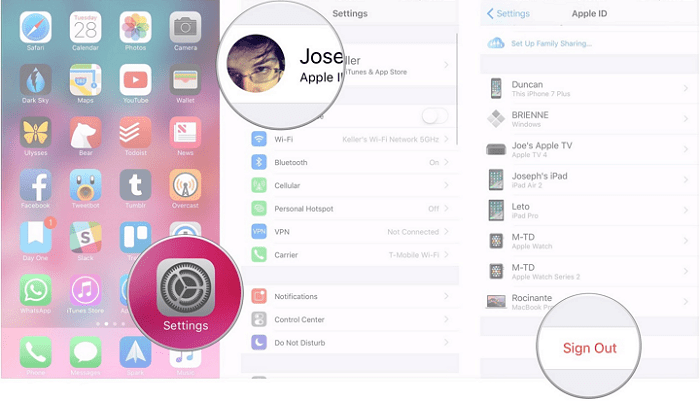 Launch the Settings app on your iPhone and click on the Apple ID banner at the top of the main Settings screen. Step 2. Scroll down to select “Sign Out”. Step 3. Enter your password to confirm. You can easily delete an old iCloud account from the official Apple Data and Privacy portal. However, the process is enormous and may take a long time to finish, and you must have your Apple ID and Password. Step 1. Go to Privacy.apple.com and sign in with Apple ID and password. Step 2. If prompted, enter the Two-Factor Authentication code sent to your phone, and click “Continue”. Step 3. Look for the section labeled “Delete Your Account” and click “Get Started” under it. Step 4. Read the write up on deletion Apple ID, and follow the instructions on the page. Step 5. Select a reason for deleting your account from the drop-down menu, and click “Continue”. Step 6. Read the information about deleting your account again before clicking “Continue”. Step 7. 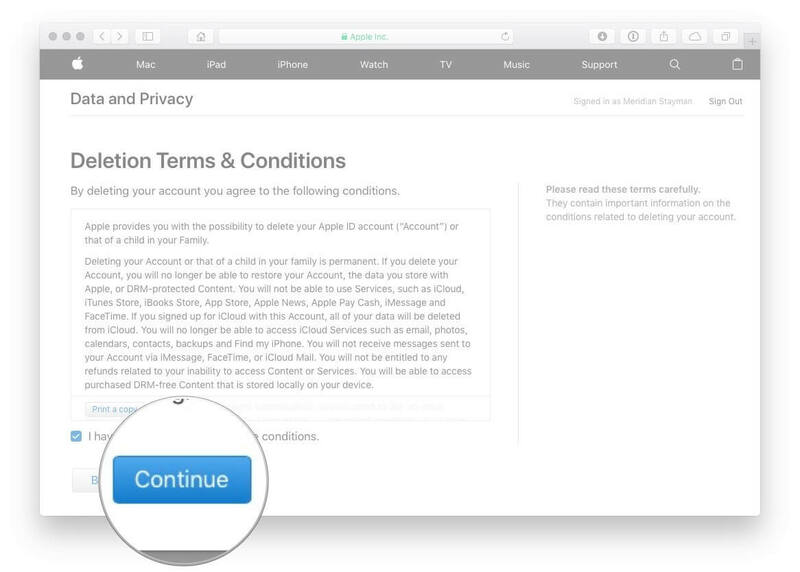 Read the “Deletion Terms & Conditions”, check the box to confirm that you’ve read and agreed with the terms and conditions, and then click “Continue”. Step 8. Print or write down your Unique Access Code, which you use to cancel the deletion request or contact Apple Support. Step 9. Enter the access code, and click “Continue > Delete Account”. Step 10. Apple will start the verification process before deleting your account. Your account will be active during the 7 days verification period. The sets of solutions shared in the second part of this article are very useful in deleting old Apple ID/iCloud account but it’s only effective for those have the password to the account. 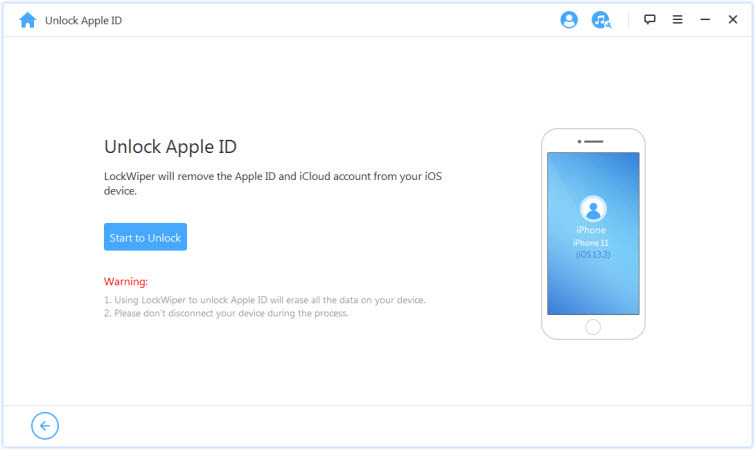 Therefore, if you’re not the original buyer of the iPhone or you’ve forgotten your password, you can use LockWiper to delete your iCloud account permanently.